No matter where you travel in the world, markets are always there. 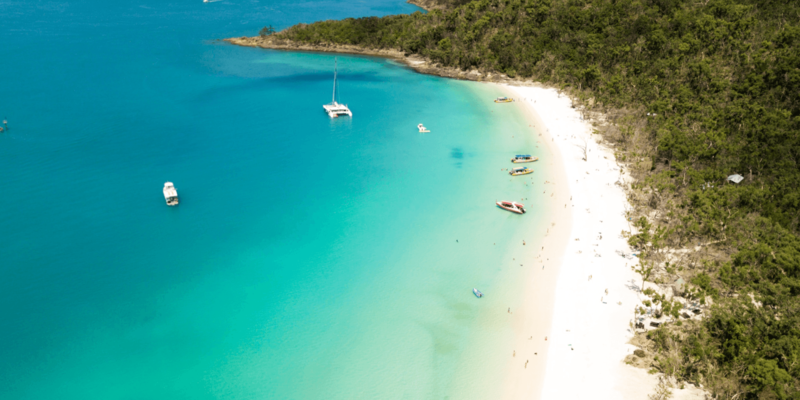 They’re a worldwide phenomenon, where local traders offer their fresh produce, fruit and vegetables, artworks, gifts and souvenirs, and literally anything you could be looking for. 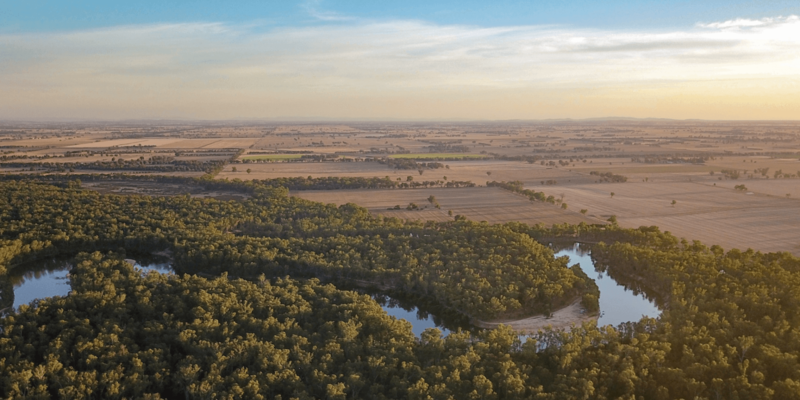 The markets around Melbourne’s city are destinations all of their own. From hand-baked cookies and second hand clothes at Camberwell Market, to the stunning artwork and crafts on sale at St Kilda Esplanade Market, to the Night Noodle Market that is completely focused on foods, you can find everything you need at a market around Melbourne. Here’s a quick guide to the markets you can find around Melbourne. 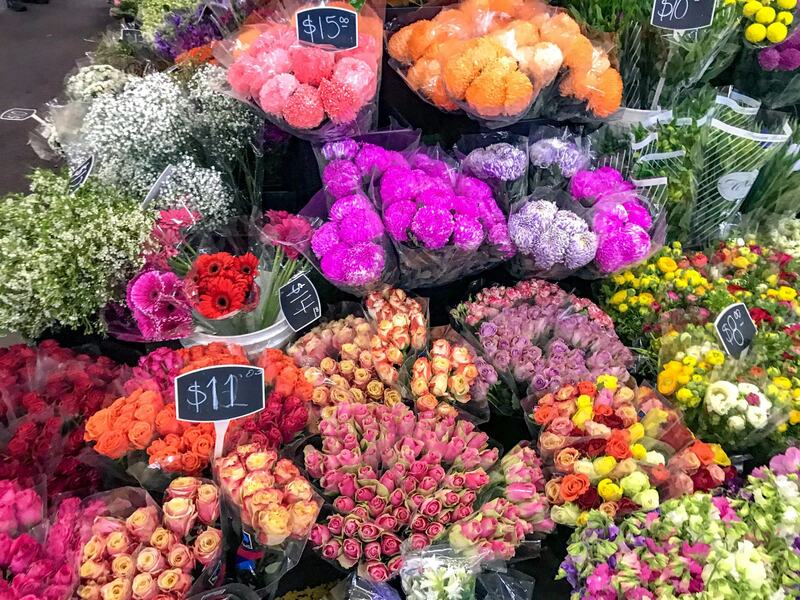 The St Kilda Market might just be in the best possible location, stretching around the esplanade and sitting right next to Luna Park, there’s definitely something for everyone here. There’s more than 140 stalls set up here each weekend, many offering work from local artists and galleries and some of the best souvenirs and gifts you will find during your time in Melbourne. 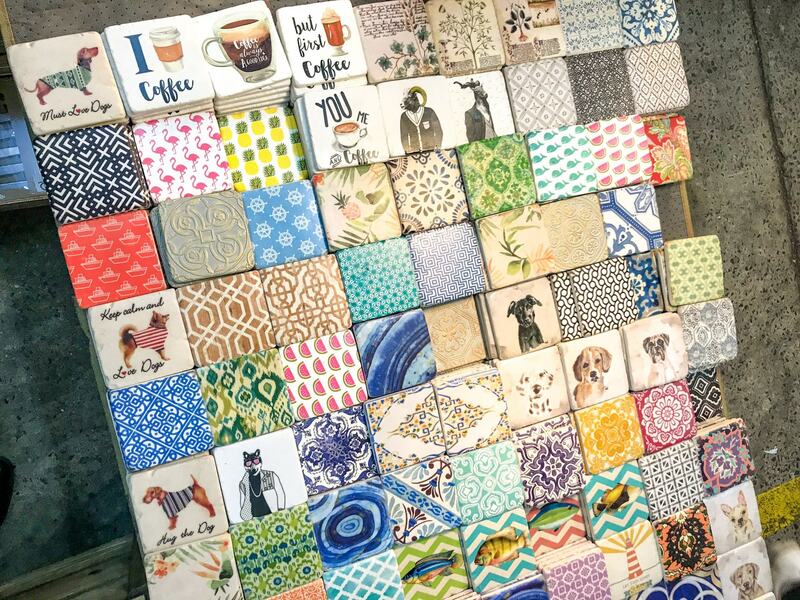 Everything at St Kilda Esplanade Market is one of a kind and there are definitely some unique pieces to be found here. Open: Every Sunday from 10am to 4pm. How to get there: Take tram 16 or 96 from the city and you won’t miss it. Parking: There’s lots of street parking around the market, some free and some ticketed. Make sure you check the signs before you leave your car to avoid a ticket. 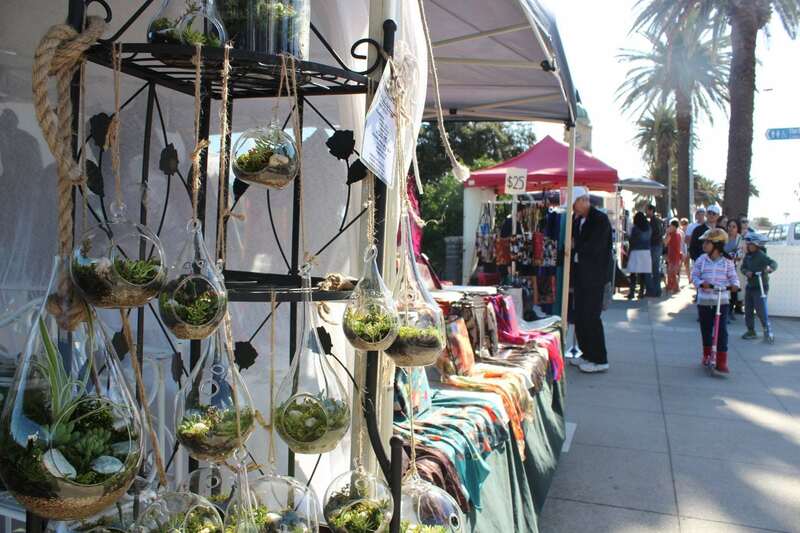 Running over the summer months, the Twilight Market offers all the best goodies of the Esplanade market, including beautiful artwork, vintage pieces, hand designed jewellery, boutique fashion and foods from all around the world. Image found here. Open: Open on Thursday evenings from 5pm – 10pm, generally from the last weekend in November to mid February. 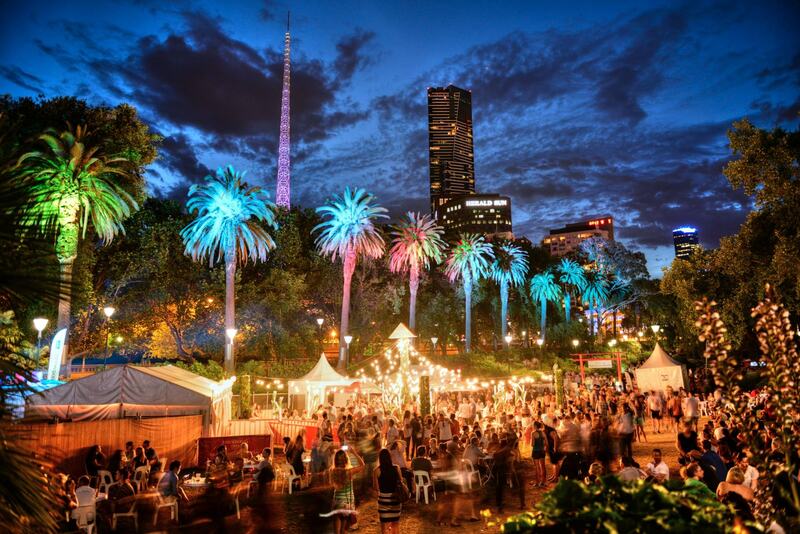 Each November the Night Noodle Market takes over Birrarung Marr along the Yarra River in Melbourne’s CBD and offers one of the best food markets in Melbourne. It’s just like being at a hawker market in Asia, with over 20 Asian food stalls including Hoy Pinoy, Bao Brothers, Waffleland, Teppanyaki Noodles and even N2 Extreme Gelato for desert! It’s a great place to spend an evening watching the sun go down over the city. Entry to the Night Noodle Market is free, and the market is completely cash free – only accepting credit cards. Image found here. 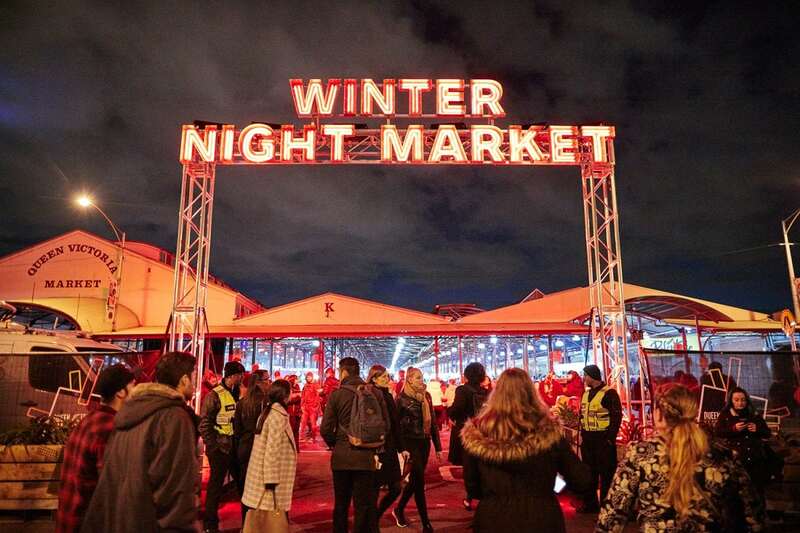 Open: This year the Night Noodle Market will be open from the 8th – 25th of November, from 5pm until late everyday and opening at 4pm on Saturdays and Sundays. 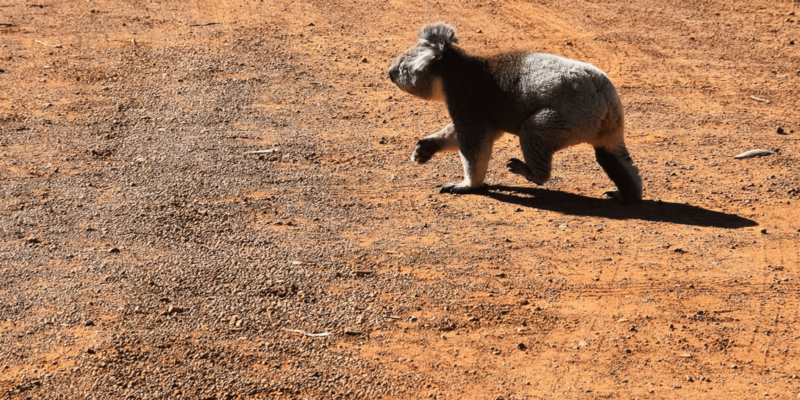 How to get there: Just a short walk from Federation Square, hope off the train at Flinders Street Station or jump off the tram right in front of Fed Square. Over 140 years old, the Queen Victoria Market is one of the biggest markets in Melbourne, offering a range of fresh produce as well as all those tourist souvenirs and tacky t-shirts you might be looking for. The Queen Victoria Market is broken up into 4 parts, each with different opening hours throughout the week. There is the Fresh Produce section (lower market & A + B sheds), Specialty Shopping (upper market), String Bean Alley and the Night Market (more below on this one). Open: The main market is open Tuesdays and Thursdays – 8am – 2pm, Fridays and Saturdays – 8am – 3pm and Sundays 9am – 4pm. The fresh produce section is open from 6am Tuesdays and Thursday – Saturday and Stringbean Alley is open from 8am to 3pm Fridays and Saturdays and 9am – 4pm Sundays. How to get there: Catch the 19, 57, or 59 tram to Stop 7 Elizabeth Street, or tram 58 to Stop 9 Peel Street. The Market is located within Melbourne’s free tram zone. If you’re coming by train, the market is approximately a 7 minute walk from Melbourne Central or Flagstaff station. Parking: Parking is available at the Queen Victoria Market car park and is free for the first hour on market days. You can access the car park via Franklin or Queen Street. Running through winter each year, the Queen Victoria Winter Night Market offers a place to go when it’s cold and gloomy outside. With over 30 street food stalls from around the world, open fires, cold beers, hot drinks, and live music acts it’s definitely a different kind of experience. Image found here. Open: During winter from 5pm – 10pm. This Wednesday – 29th August is the last date for this season. 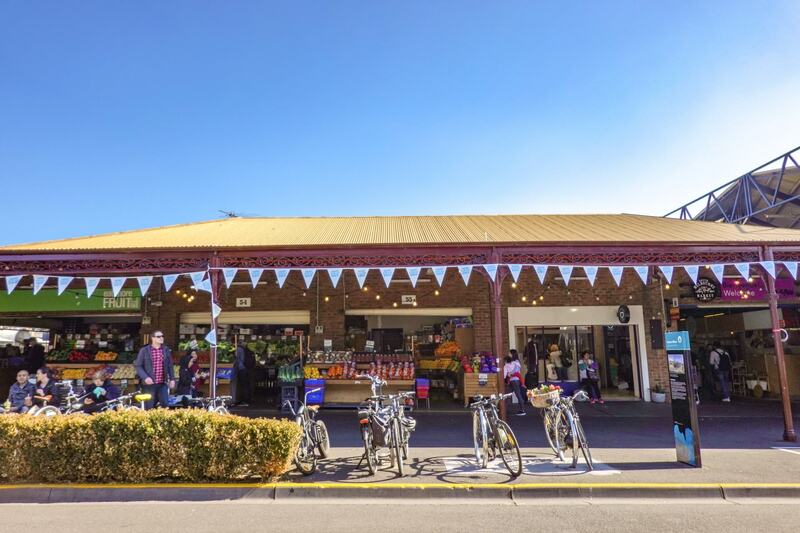 A staple in Melbourne, South Melbourne Market has been open since 1867 and offers literally everything you can think of. To eat you can find fresh fruit and vegetables, delicious cakes and pastries, healthy acai bowls and fresh juices. Then there’s the shopping, with boutique fashion brands, beautiful accessories and antique clothing, unique home wares, books and even a bike shop. And then there’s everything else you could need. From nail salons to brow bars, beard trimming, hair dressing and dog grooming, you can find absolutely everything you need at the South Melbourne Market! Open: 8am – 4pm Wednesdays, 8am – 5pm Fridays and 8am – 4pm Saturdays and Sundays. Parking: Take advantage of South Melbourne Markets rooftop car park right on top of the market, with free parking for the first 2 hours on market days. Every Sunday market a local carpark is transformed into a buzzing market, and maybe the biggest second hand market in Melbourne. It’s a great place to find second hand designer items, local upcoming brands and fashions and all kinds of entrepreneurs starting their businesses. The Fresh Food part of the market has also been around since the 1930s and offers everything you could possibly need for your weekly meal prep, including meat, organic vegetables and fresh fruit. A gold coin donation is required for entry to Camberwell Market which go towards different charitable causes around the community. Open: Every Sunday from 6:30am until 12:30pm. How to get there: Catch either the no. 75 East Burwood tram, no. 70 Wattle Park tram or the no. 72 Camberwell tram from around the city to Camberwell Junction. You can also catch the train to the market, with Camberwell Station only about 100m away from the market. 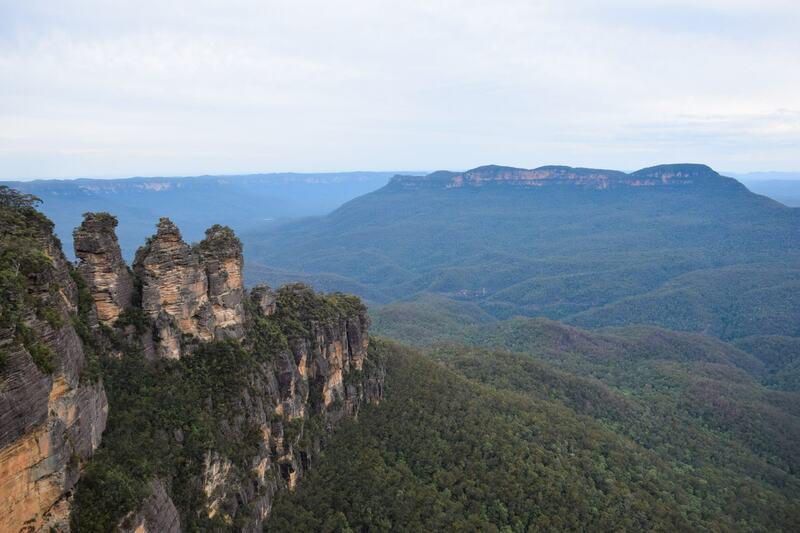 From the city you can catch either the Lilydale, Ferntree Gully or Alamein Line to Camberwell Station. Parking: Free all day car parking is available on Inglesby Road, opporiste the local council offices. 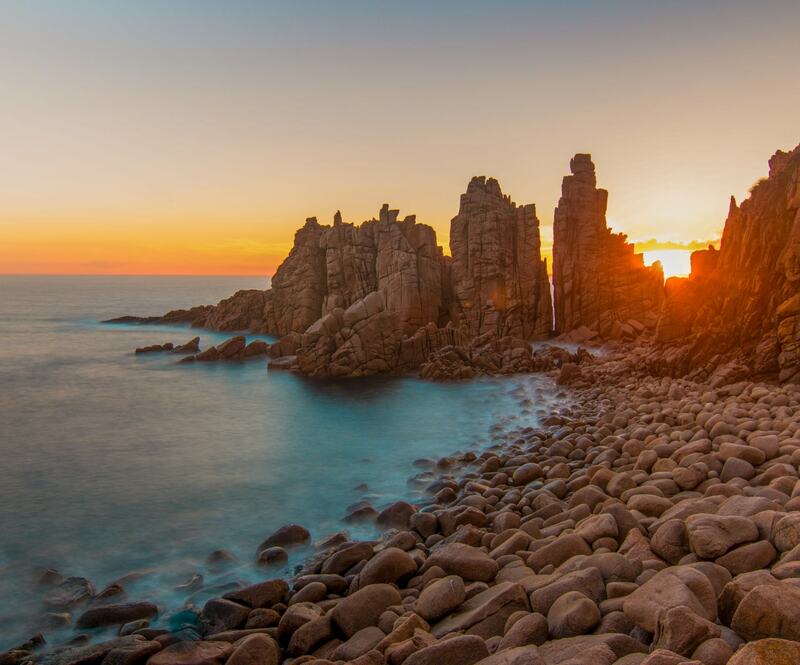 The market is just a short 5 minute walk from this car park. 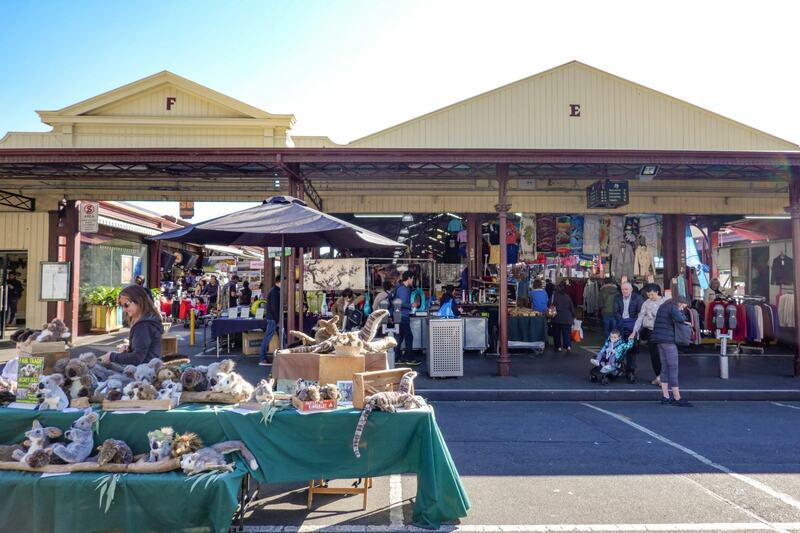 One of the most popular markets in Melbourne, Prahran market is where you can find all sorts of fresh produce and hard to find speciality items, as well as all kinds of events to keep you entertained all year round, including live music every Saturday and Sunday. 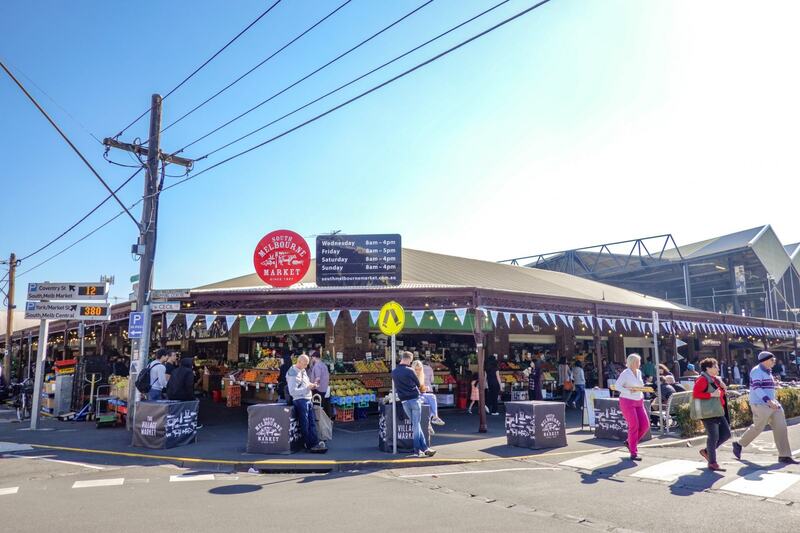 The Prahran Market boasts the highest quality fruit and veg, the widest range of certified organic products, sustainable seafood, free-range meat, gourmet deli items and a huge variety of speciality stores. If you’re not looking to make things yourself, come for the insane food options around the market. With all sorts of options from Pomegranate Salads to Tequila Tacos and the Best Cheese Fondue, you’re spoiled for choice with all the options. Make sure you check out the markets Event Page to see what’s going on when you visit. Open: The market is open from 7am – 5pm on Tuesdays, Thursdays, Fridays and Saturdays and 10am – 3pm on Sundays. How to get there: Catch the no. 72 tram to from Swanston street and get off at stop 30 which is right outside the market. 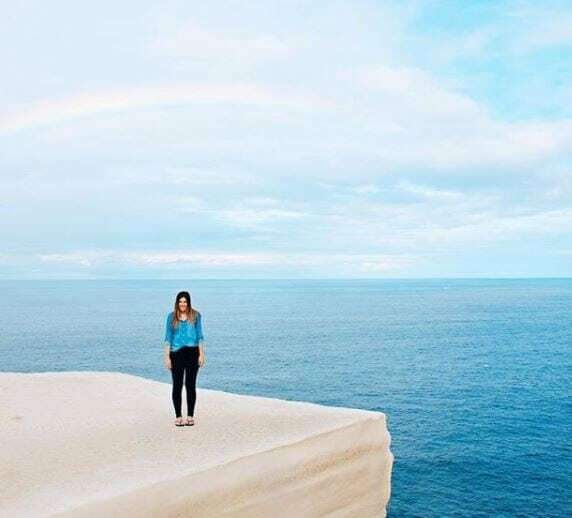 To arrive by train, catch the Sandringham train from Flinders Street Station and get off at Prahran Station and it will be a short walk away. Parking: There is lots of undercover parking available at the car park located behind the market on Elizabeth Street in South Yarra. Parking starts from as little at $2.70AUD for the first hour. There’s also free one hour parking along Commercial Road, Chapel Street and Barry Street around the market. 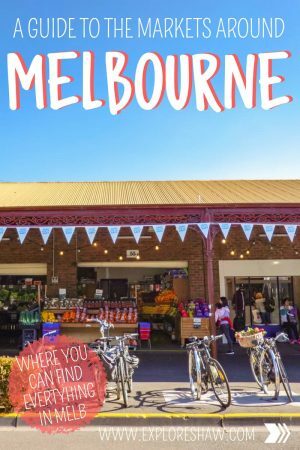 Have we missed any of Melbourne’s best markets? Let us know what your favourite market is!